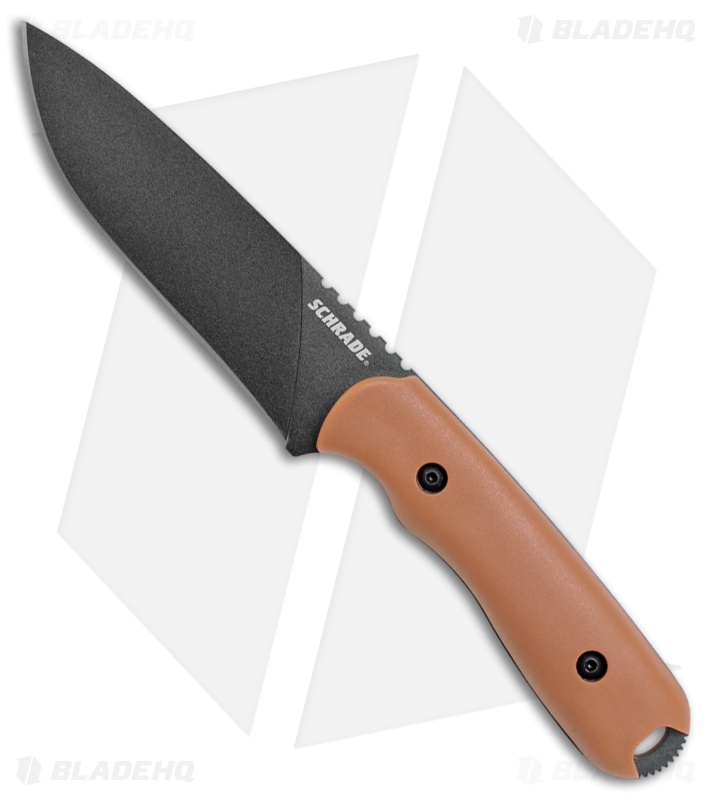 This Frontier model features a brown grivory handle and a carbon steel blade with a black stonewashed finish. 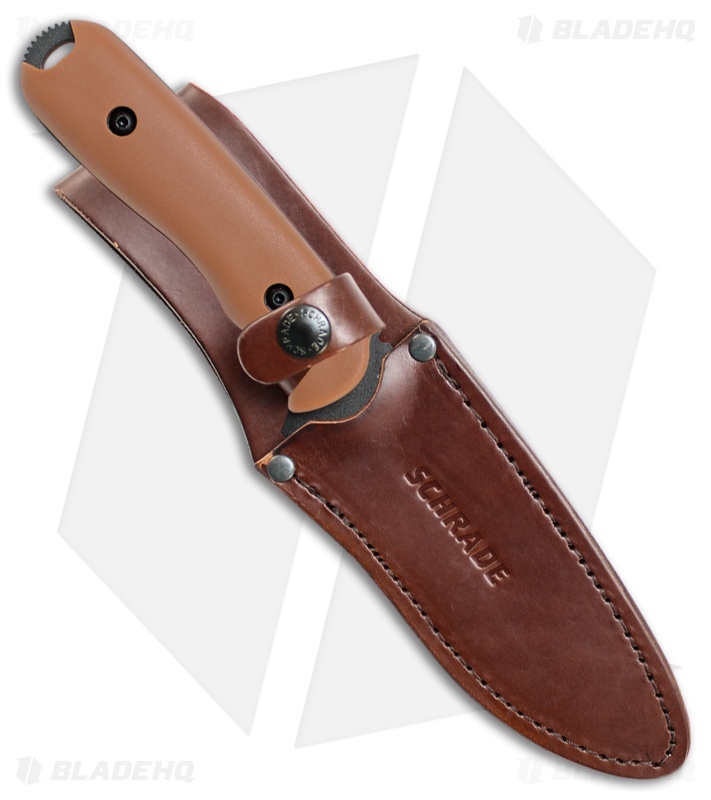 The Schrade Frontier is a heavy duty fixed blade that is built to tackle any cutting job. 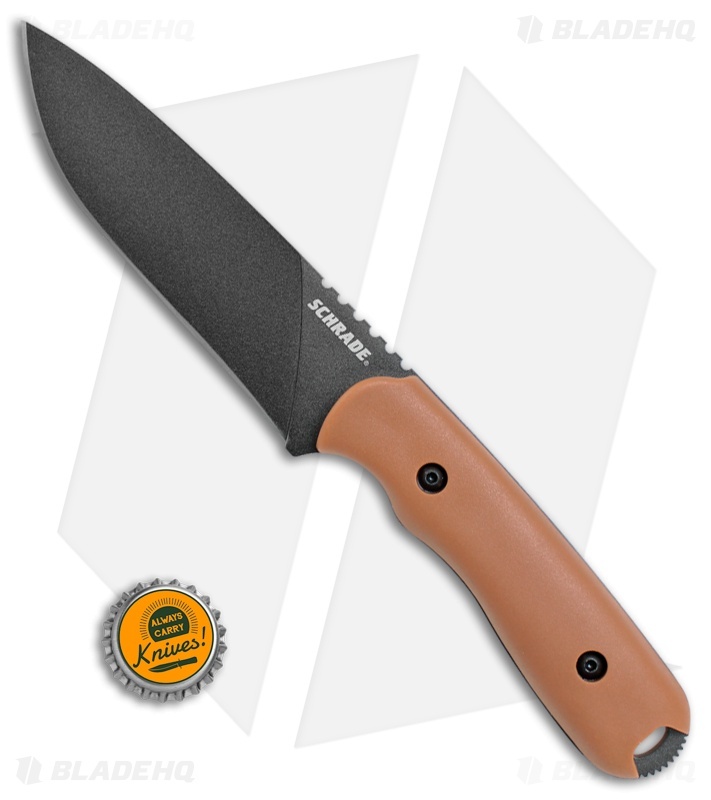 This fixed blade model is equipped with a grivory handle and a thick full tang blade made from 1095 high carbon steel. This beast of a knife is tough enough to stand up to any cutting chore, yet streamlined for comfortable carry. It includes a custom fitted leather sheath for convenient EDC.